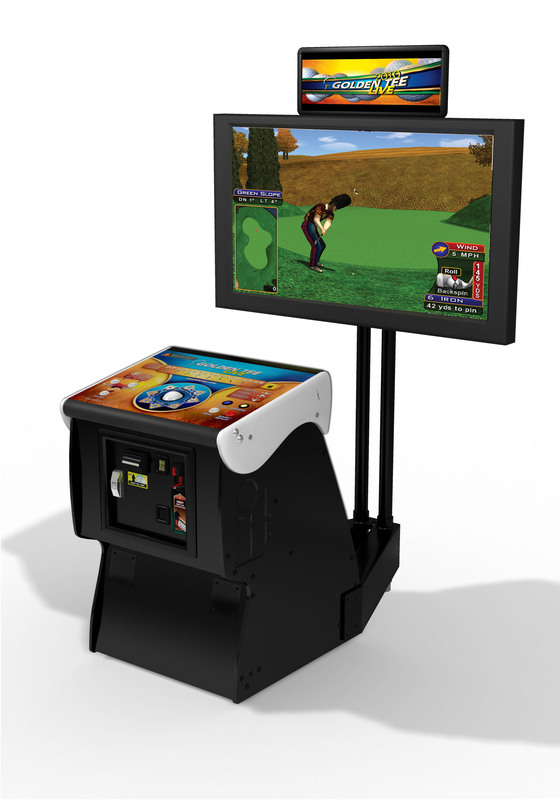 Anyone who is anticipating the upcoming (Oct. 1st) release of Golden Tee 2010 will get a chance to see the game early as Incredible Technologies will host the GT2010 world premiere event at Boomer’s Grill in Mansfield, OH. According to the info IT sent out, “the Ohio media is coming out en masse to cover this event” which will certainly assist in making the game one of the most covered coin-op games this year. On top of that if you are a Silver Strike Bowling player, with Bowlapalooza now over, they will be giving the SSB National Sweepstakes another go here shortly. There is no word yet on if they will be providing a follow-up to SSB like they have with GT but I have a feeling that we’ll be hearing about that soon. For more info on the GT2010 world premiere, click on the link below. (September 4, 2009 – Arlington Heights, IL) When Mike Zappa of Lorain Music in Crestline Ohio heard that one of his players won the 2010 Golden Tee Design-a-Hole contest, he called IT marketing director Gary Colabuono to tell him that they were going to throw a little party for the winner, Jim Little of Mansfield. Boomers Grill was Little’s home bar and the owners there wanted to celebrate the occasion. Colabuono, never one to overlook an opportunity, said to forget the small party. How would they like to hold the 2010 Golden Tee World Premiere? Little’s design was chosen from a pool of over 150 entries. It garnered nearly 30,000 online votes. At the premiere party at Boomer’s, Little will see up close how Jim Zielinski, Golden Tee’s award-winning designer, brought his concept to life, because IT’s video team captured the entire creative process on film in a short quickie-documentary. And there’s more happening at Boomer’s. Golden Tee world champion Andy Haas of Stow Ohio will be on hand. Hass has won more prize money than anyone in the history of the game and will be giving Golden Tee pointers to the partygoers. In addition, IT will showcase the video of its new theme song, “It’s Golden Tee,” which is written and performed by country rocker/Golden Tee fan Ira Dean. Formerly of Trick Pony, Dean has written hits for Montgomery Gentry, Smash Mouth, and Blues Traveler. See the video now at www.youtube.com/goldenteegolf. Golden Tee LIVE 2010 is on schedule to ship October 1, 2009. Operators are encouraged to get their update orders in now to ensure inclusion in the first shipment. For more information call the IT Sales Hotline at 800.262.0323 x 106. When:	Thursday, September 10, 2009, 7:00 p.m.